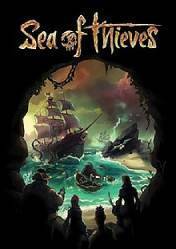 Attention: Sea of Thieves is an Xbox One game with Xbox Play Anywhere, so it's compatible for both Xbox One and Windows 10 PCs. Sea of Thieves is an action game and RPG in which we play a brave pirate. We will have complete freedom to embody the role we want, since there are no pre-established classes. We will be able to recreate naval battles, fight with swords, hunt for treasure and ultimately be the most legendary pirate in this ever-changing and multiplayer world. An enormous open world of unexplored islands, mythical monsters and priceless spoils. Teamwork will be a fundamental piece of work, otherwise sailing with our boat and shooting at the same time will be impossible, so we must gather a crew and embark towards unknown waters in search of all kinds of treasures and adventures. The game will go on sale on March 20,2018, although it is now possible to book it. There are some stores that sell access to the closed beta that will take place from 24 to 29 January 2018, so be sure to read carefully in each of the stores the information regarding this product, whether it is a reservation of the complete game or if it is just access to the Beta. I've seen a lot of this game so I'm excited to go and see or / and play it for myself. But i'm gonna wait until the big release hype is over, before buying it. I played this for 2 weeks on the xbox game pass, really enjoyed it! The art is incredible, and I didnt experience any bugs in my time playing. I played solo and it was still fun, I do want to get a crew though. And there are lots of new things coming to the game as well. My time on the seas has been everything from calm and soothing, to adrenaline pumping and thought provoking. Whether I was mastering a Sloop alone or with my partner, or even taking on the challenges of commandeering a Galleon with my closest friends, there's always something going on that just keeps me hooked on the adventure. Wow,this game is so beautiful so fun with friend! But the game need mor items , mor boat.i think i get to get a good review on this game, crazy game. this game is perfect! and it looks like a very good game graphics wise and i have played it so i think i get to get a good review on this game, crazy game. I'm really excited to play this game! i've played the Open Beta of it so i can't wait to play the full version of the game! The graphics are great, there's a lot to do in the game aswell!